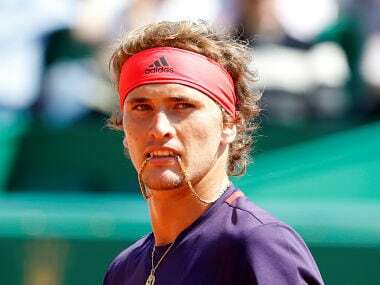 The last time the tennis world saw Alexander Zverev take court for a competitive match, he beat Novak Djokovic in the summit clash of the ATP World Tour Finals in November. Bragging rights through a win over the World No 1 though wasn’t his biggest reward in the day. The biggest prize for the 21-year-old German was, quite simply, the title itself. In a week of tennis, the World No 4 had ticked another checkbox in his growing list of achievements. He has won ATP titles in the 250s, 500s, and even three Masters 1000 events. In London, on the blue, neon-lit indoor courts, Zverev defeated Roger Federer in the semi-finals and then Djokovic in the title clash to win his first ever year-ender Finals, considered the fifth Slam. For years, Zverev and the rest of his young colleagues, all a part of the ATP’s well-promoted Next Gen, have been making swift inroads on the circuit and challenging the stalwarts of the game. But it’s their performances at the Grand Slam stage, on the coveted arenas of Melbourne, Paris, London and New York — where the success of a tennis career is measured — that has never quite hit the mark. Facing the challenge at the Slams has been a hurdle too tall for the Next Gen to overcome so far. Consider the best results of the top six players under the age of 22 — all come within in the top 25 world ranks. Zverev is the highest at No 4 and went furthest at a Grand Slam last year when he made the French Open quarter-finals. Russia’s Karen Khachanov, the World No 11 who won the Paris Masters last year, made it to the fourth round of Wimbledon 2018. Next is Croat Borna Coric, rank 12, who stunned Federer, in the final of the grass-court event at Halle, but has managed only a fourth round finish at the US Open last year. World No 15 and 2018 Next Gen Finals champion Stefanos Tsitsipas, who beat four top 10 players en route to the final of the Canadian Masters, too finished at that stage at Wimbledon last year, while Daniil Medvedev (16th) has reached only as far as the third round at Flushing Meadows. 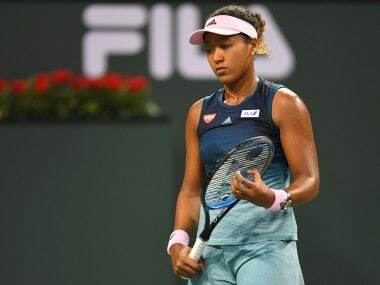 Only South Korean Hyeon Chung, World No 25, has reached the semi-final of a Slam, making that run at the Australian Open last year. All these players know what the atmosphere is like at the grandest stage of tennis. What they lack is the composure and experience of playing best-of-five-sets matches, and it takes seven of those matches to win the whole thing. Similarly, three-time men’s doubles Grand Slam champion Mark Knowles questions whether the players get enough time to train for the longer matches. The sport has become physically brutal, and younger players need time to build their body for the battle ahead. Zverev, in his quarter-final exit at the French Open last year, fell to Dominic Thiem in straight sets. Through most of the match though, he struggled with a hamstring issue on his left leg. There was always a question mark over whether Zverev’s fitness going into the last-eight clash. 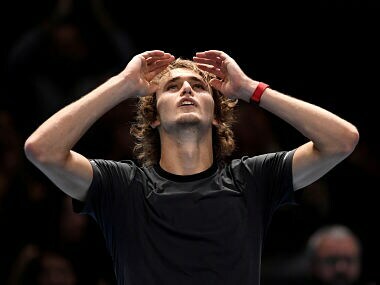 The young German had scripted three five-set victories in the four previous matches. He survived each of those, but the cumulative killed him. Months earlier, in the semi-final at Melbourne, Chung retired from his semi-final against Federer due to blisters. The Korean had beaten Zverev in a dramatic five-set contest earlier in the tournament and in the Round of 16 outplayed Djokovic in an energy-draining (7-6, 7-5, 7-6) encounter. He asserted at the Tata Open Maharashtra recently that he’s started wearing a special set of insoles in his shoes to tackle that problem. It’s not just the physicality, it’s also the mental toughness you need to go through the grind, seven times over a fortnight. The Next Gen is expected to solve all these problems soon though. And the one considered the most likely to do that, and then go ahead and win a major, is Zverev. 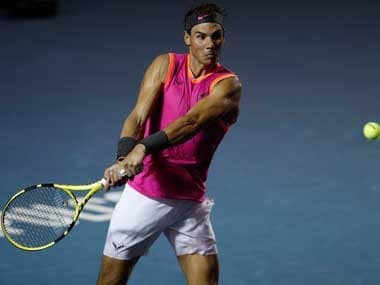 He has been tipped as a future champion since his epic five-set tussle against Rafael Nadal at the 2017 Australian Open. Outside the Big 4, he’s the only active player to have won three Masters titles. In 2017, he beat Djokovic to win his first ATP 1000 title in Rome and followed it up with the Canadian Open title. 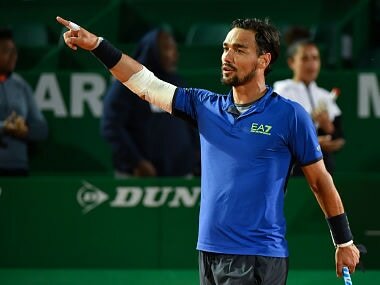 In 2018, he defeated Thiem in the final of the Madrid Masters. In November 2017, he had reached a career high rank of No 3, and has stayed within the top 5 spots ever since. He has the game to support those numbers as well. Standing at a towering 6-foot-6, he’s amazingly agile for his size and has the ability to cover the court with ease. Menacingly aggressive off both flanks, the two-handed backhand being rated his favourite shot, holding serve against him is no easy feat. And when he’s in the mood, which is often the case, his booming serves cannot be breached. The tall German has worked towards being more aggressive on the court, using that big serve to come up often to the net: a tactic he used often, and surprisingly well on clay, to win the Madrid Masters. Perhaps the most important step he’s taken towards finding success at the Majors was hiring legendary Ivan Lendl as his coach in August 2018. The Czech-American, a former World No 1 himself with eight Grand Slam titles to his name, has been acknowledged as the first player to have focused on the physical aspect of the game. As a coach, he helped transform Andy Murray into a player who was a regular in the second week of a Slam, to a three-time winner and World No 1. Lendl is now expected to bring in those same changes — physical and mental — to his new ward. So far, the partnership has worked well. They have the Tour Finals title to show for it. “I really hope this is just the beginning,” Zverev told Sky Sports. “I'm still young. I still want to improve on things — this means a lot to me." Now in Australia, proceedings have taken a turn for the worse though. On Thursday, during a practice match against Australian Marc Polmans, Zverev appeared to roll his ankle and had to cut short the session. It could potentially dent his chances at the Australian Open, but in the long run, there are still big expectations from him and his fellow Next Gen sensations. It’s all a matter of time before the young guns of the game start dominating the Majors. That’s their final frontier.